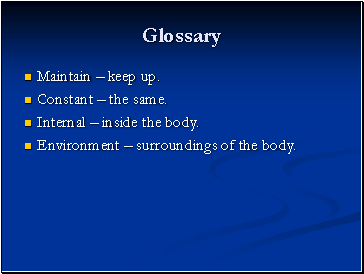 Internal – inside the body. 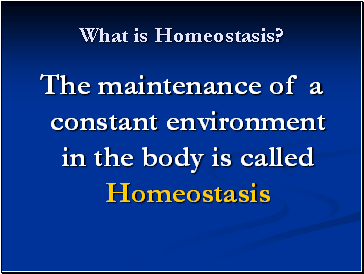 Environment – surroundings of the body. 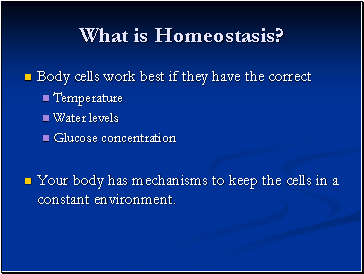 Your body has mechanisms to keep the cells in a constant environment. 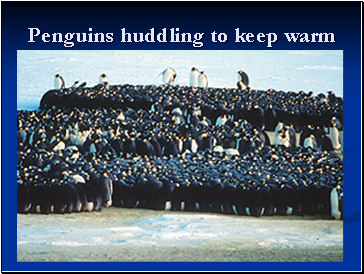 All mammals maintain a constant body temperature. 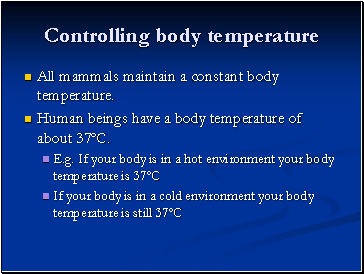 Human beings have a body temperature of about 37ºC. 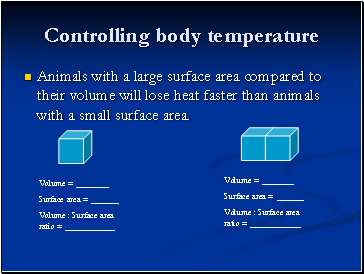 Animals with a large surface area compared to their volume will lose heat faster than animals with a small surface area. 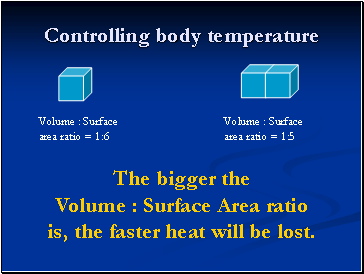 The bigger the Volume : Surface Area ratio is, the faster heat will be lost. 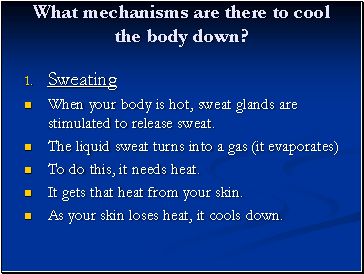 What mechanisms are there to cool the body down? 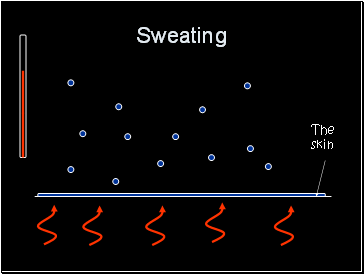 When your body is hot, sweat glands are stimulated to release sweat. To do this, it needs heat. 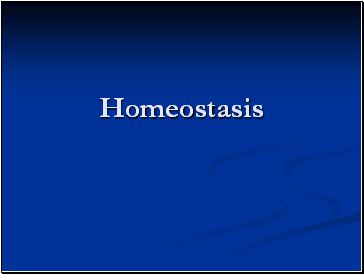 It gets that heat from your skin. 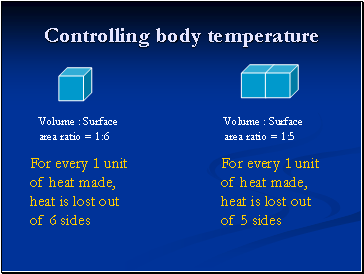 As your skin loses heat, it cools down.